Since the dawn of time, colours have been influencing our lives from the survival inducing blue, associated with clear skies or watering holes to the calming greens surrounding nature and food and many more. With this in mind, it’s not surprising that colour has been inspiring interior design for many years. Mixed with the psychology of colours, interior design has the ability to transform your home and provoke subconscious emotions. 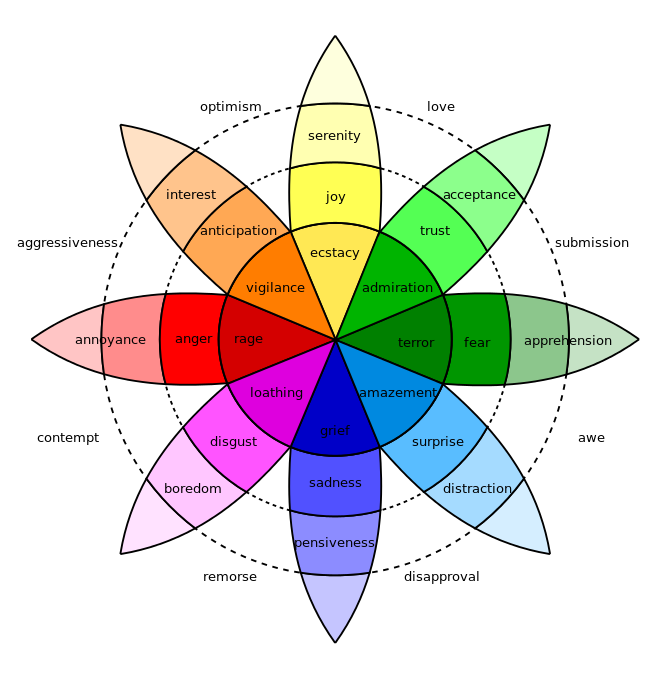 In 1980 Robert Plutchik developed the wheel of emotions, associating the 8 bipolar emotions we have with a colour. As the world’s most common favourite colour, it’s not surprising that it installs a serenity in our minds. Blue is known to slow our pulse rate and lower our body temperate which makes it a great colour for our bedrooms, to aide us into a deep and calming sleep. It also works well in dining rooms, and if your family dinner discussions are as heated as some of ours, we understand why! Another soothing colour that represents renewal, youth and vigour. Green inspires concentration and creativity making it a fab colour for home offices and again bedrooms & dining rooms. 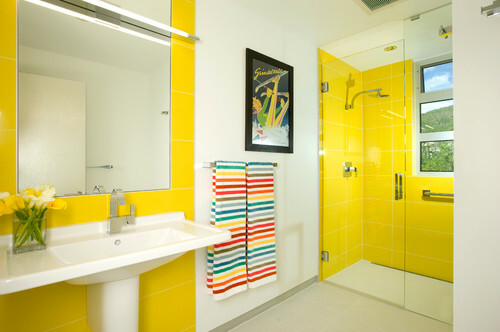 As the colour of sunshine, we associate yellow with hope and optimism. Research shows we actually release more derail in when we see the colour which gets our happy & creative juices flowing. Surprisingly though yellow is the least common favourite colour so much like vegemite (and their labels) it’s a love or hate relationship. Supposedly good for use in bathrooms, sun rooms and kitchen/diners. Red is a colour of energy and excitement, it’ll get your blood pumping and your heart beating faster. It will increase your desire and passion which makes it a popular choice for adult bedrooms. It also increases people’s appetites so it’s an interesting choice for kitchens and dining rooms. On the slightly more negative side, red reduces analytical thinking so not a good choice for your home office or child’s bedroom. Considered a happy colour, orange brings energy and warmth however as it’s not a calming colour, avoid for the bedrooms in your home. Sometimes popular for living rooms or dining rooms as it stimulates conversation. Quite a tricky colour purple, it symbolises royalty and wealth but can also appear artificial. It’s popular amongst teenage girls and their bedrooms. If you’re looking for a particularly relaxing room, pink is your go to. It produces a tranquility effect and drains energy. As a colour of compassion and sensitivity, we have seen this work well from children’s bedrooms to bathrooms, to kitchens. For a feeling of comfort, opt for the neutral brown colour – take joy in the fact we associate brown with pleasant items like chocolate, cakes, coffee and also nature. 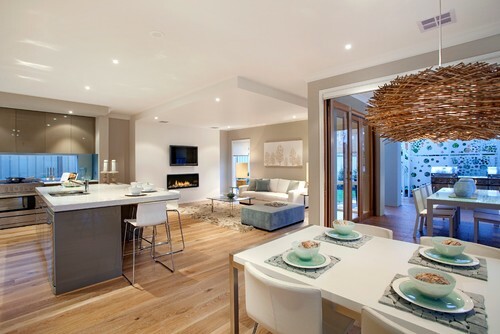 As brown is considered a timeless classic in interior design, you can realistically make this work in any room. Although a shade and not actually a colour, white in terms of interior design promotes a feeling of cleanliness and freshness. There is a simplicity with white that provides mental clarity and encourages less clutter. A great colour for bathrooms but gives a touch of elegance for any room in the home. If you’re thinking of re-decorating your home but not really sure to start, speak to your local Hubby today or find out more about our painting services.